A few weeks ago I did a post on my current travel wishlist. 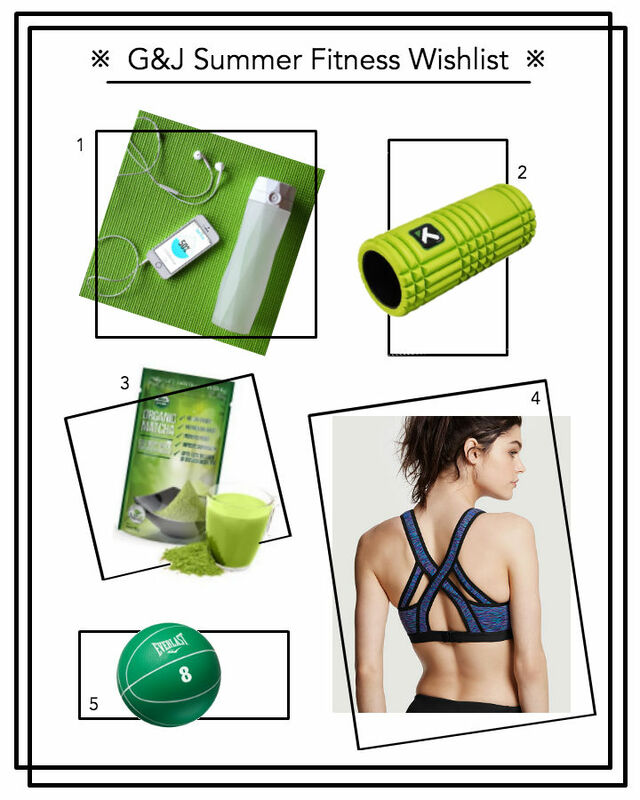 Today, inspired by Kat Horrok’s post, I’m breaking down what’s on my gymbag’s current fitness wish list (and yes, I knowwwww this isn’t the most original post but I’m currently on a bus to Philly. Cut me some slack, yeah?). I always feel a little greedy when making wish list posts because I honestly already have so much that I don’t really use but wishing is also a good way to get your goals in check and shows ambition. A little ambition never killed nobody right? If you guys haven’t heard about this, it’s about time. Firstly, let me say I’m kind of tech obsessed. If it seems useful and is techy, I’ll probably love it. This is a water bottle that links to an app to help get you fully hydrated. Check out their Kickstarter asap. I love foam rollers; they work MAGIC on sore muscles (and preventing them) but I have yet to call one my own. This one seems to be the perfect size and those groves seem perfect for a nice roll (lol, that’s totally something people say…). I fell in love with matcha a looooong time ago (admittedly, Starbucks actually introduced us) but I haven’t had it at home for the longest time. I’d love to try some of the funky matcha muffin and cake recipes that seem to be popping up everywhere. Hi, I’m mainstream. I know you’re probably rolling your eyes and waiting for a Lululemon link (it’s actually Victoria’s Secret, ha….). But I actually really do like strapy-backed sports bras because they’re so much cooler (like temperature-wise) and this one even has a hook; there are few things worse than struggling out of a sweaty sports bra. I have weights and jump-ropes at home. What I don’t have is a medicine ball. I think this would make squats more fun (okay, maybe not fun, but more valuable) and I’m sure there are a bunch of other moves I could use this for. So that’s all. As you can see, it’s a bit of a mix between equipment, apparel and supplements. What does your fitness wishlist include? Have you tried matcha? !